Use coupon code M18RSVP to apply no shipping. This is now your RSVP and you’ll pick up this purchase at the party! The Formaglini Spring Soiree is a coveted annual party in the beautiful and historic de Lancellotti back yard. 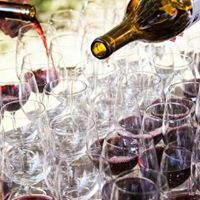 This year’s party on May 18 will feature Formaglini’s Winemaker, Kelly Kidneigh. We’ll be offering preferred pricing on the 2017 futures. We’ll be pouring tastings of these 2017 futures: La Quercia Block Pinot Noir, Insieme Cuvee, and our inaugural release of our Chardonnay! And as always, we’ll have Anya’s amazing culinary spread and our current 2015 and 2016 vintages to enjoy throughout the night. your “ticket” for two to the party is the purchase of the Spring Soiree Two-Pack: 2 bottles of our beautiful 2016 Oregon Estate Pinot Noir for a 10% discount. Use coupon code M18RSVP to apply no shipping as you’ll pick it up at the party!